Super Bowl LII is fast approaching, pitting the NFC’s Philadelphia Eagles against defending champions the New England Patriots for what is expected to be an interesting matchup in Minneapolis, Minn. 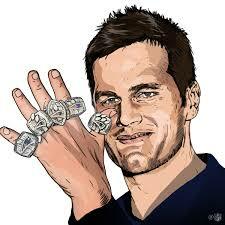 While this will only be the Eagles’ third Super Bowl appearance in franchise history, Patriots quarterback Tom Brady is looking to win his sixth ring after a tough victory against the Jacksonville Jaguars in the AFC championship. Justin Timberlake will be headlining the halftime show, and although he has promised there won’t be any encores of the notorious wardrobe malfunction that ended his Super Bowl performance with Janet Jackson in 2004, there will hopefully be a few GIF-worthy moments to relive when it’s all over. 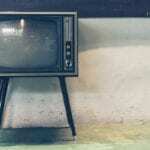 Over the past 51 years, the Super Bowl has cemented itself as a cultural event in the United States, showcasing the best of the best in music, advertising, and, of course, football — but it wasn’t always that way. 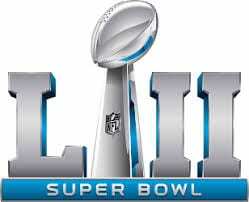 When the first Super Bowl took place in 1967, it was the championship game between the United States’ two football leagues, the NFL and its seven-year-old competitor, the AFL. Sixty million people tuned in to watch as the Green Bay Packers found victory over the Kansas City Chiefs, 35-10, at the Los Angeles Memorial Coliseum. Since then, the NFL and AFL have merged into one league and the Super Bowl has emerged as the pinnacle of broadcast television, drawing more than 111 million viewers during each match up in the last three years. People who rarely watch football usually find themselves at some gathering in honor of the big game, and sports fans make crazy bets against each other even if they’re not regular supporters of the competing teams. 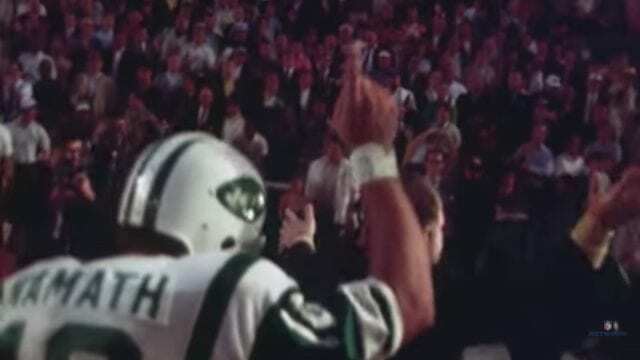 There have been 51 Super Bowls since that first NFL-AFL World Championship in 1967, so picking only five moments of greatness on the field to feature is nothing short of difficult… but we did it! Ahead of Super Bowl LII, here are the Top 5 most iconic Super Bowl moments of all time. 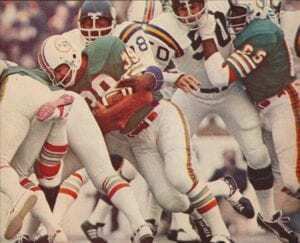 After losing to the Dallas Cowboys in 1972’s Super Bowl VI, Miami Dolphins coach Don Shula made it the team’s goal not only to play in the next Super Bowl, but to win it. 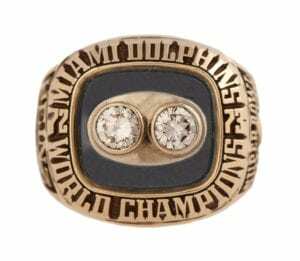 The 1972 Dolphins went on to win every single game that season, a feat that was secured with Super Bowl VII against the Washington Redskins. 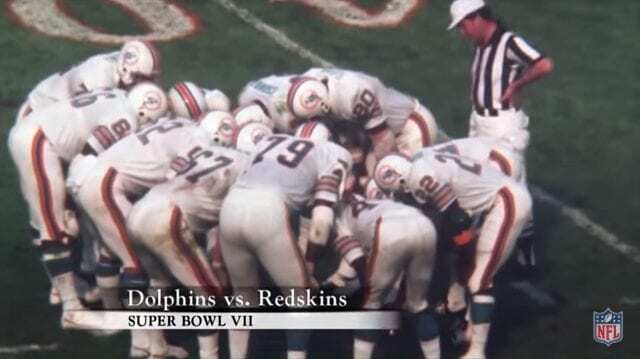 Even though the final score was 14-7, the Dolphins dominated the Redskins, with the only Washington points scored during a 49-yard fumble the Redskins returned for a touchdown. The 1972 Dolphins are the only team in NFL history to be undefeated and untied in both the regular season and the post-season. 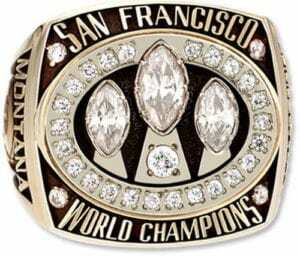 Super Bowl XXIII pitted the Cincinnati Bengals against the San Francisco 49ers on 49ers coach Bill Walsh’s last game. 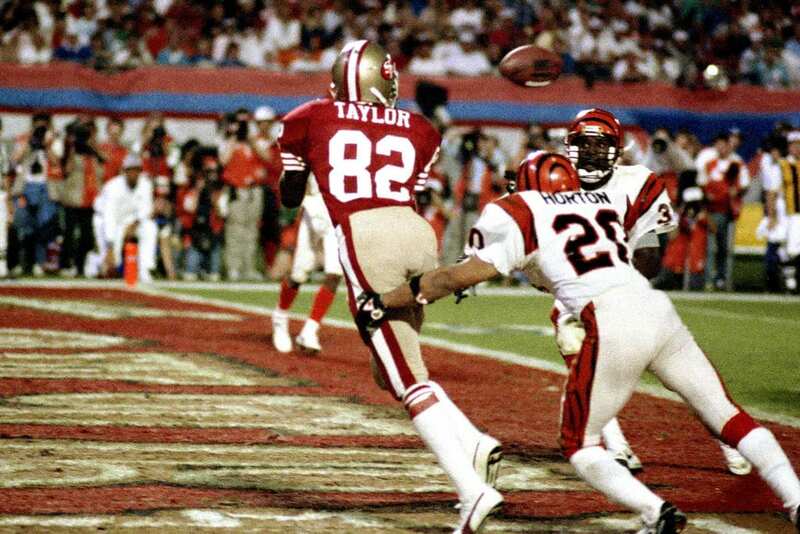 The 49ers were hoping to become the second team ever to win three Super Bowls in NFL history, and the Bengals wanted revenge for the Super Bowl loss to the Niners seven years earlier. 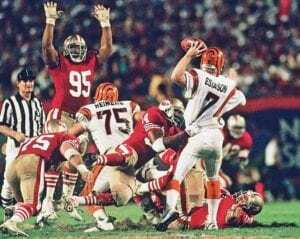 As if all of that pressure wasn’t enough, the Bengals’ coach was Sam White — Walsh’s longtime friend and former assistant coach, who had worked with Joe Montana when he was on the 49ers staff. Though most of the game was close, the Bengals led in the fourth quarter until a touchdown pass from Montana quarter tied the game at 13-13. With under four minutes left, the Bengals pulled away with a 40-yard field goal and left the 49ers to start their final drive on their own eight yard line. Securing first down after first down with tight passes – some of which were caught by fellow football legend Jerry Rice, who was MVP of the game – Montana led the 49ers down the field. 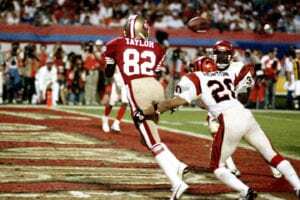 With 39 seconds left in the game, Montana completed a touchdown pass for ten yards to John Taylor, giving Walsh a Super Bowl victory on the last play he ever called as the 49ers coach. 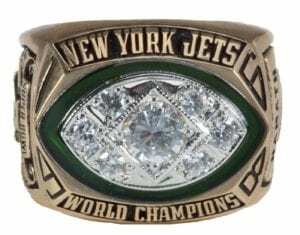 Before the game, Jets quarterback Joe Namath guaranteed the media the Jets would win the NFL-AFL Championship despite overwhelming expectations that the AFL’s Jets would fall to the NFL’s Colts. 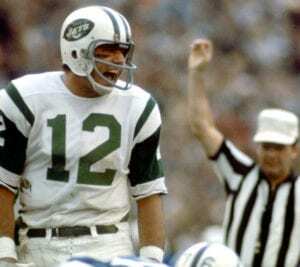 Namath led his team to an upsetting 16-7 victory at the Miami Orange Bowl, and secured the title of MVP of the game. “It’s not an overconfidence thing,” he said. “It’s football sense.” And clearly he had it. The Jets victory was the first victory for the AFL. Just one game away from being the second team in NFL history to end with a perfect season (remember the 1972 Miami Dolphins? 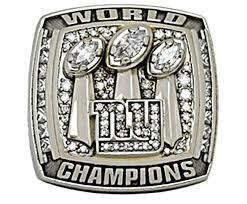 ), the New England Patriots faced off against the New York Giants. The Giants started the season with two losses on the road, but finished with 10 straight wins before facing the Patriots in Super Bowl XLII… and robbing them of their perfect season in the last minute of the game. After scoring the Giants’ only touchdown of the game to that point, wide receiver David Tyree made a game-changing catch by securing the ball against his helmet with less than two minutes left, giving the Giants a crucial 32 yard gain. With 39 seconds left in the game, the Giants scored a touchdown to lead the Patriots 17-14 as the clock ran out, taking the Patriot’s perfect season with it. The entire fourth quarter was non-stop back and forth. It’s hard to believe the jaw-dropping last quarter of Super Bowl XLIX took place almost three years ago, because we’re still trying to lower our heart rates to a suitable level. The Seattle Seahawks and the New England Patriots kept the game pretty close during the first half, never spreading the score by more than a touchdown until Doug Baldwin caught a touchdown pass to bring the Seahawks’ lead to 24-14 in the third quarter. 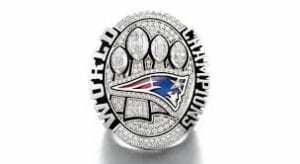 But then in the fourth quarter, the Patriots scored a touchdown, bringing the score to 24-21… and six minutes later, they scored another touchdown to lead the Seahawks 28-24 with just more than two minutes left in the game. If you thought this emotional roller coaster was swinging around the bend to return to its station, you are wrong. 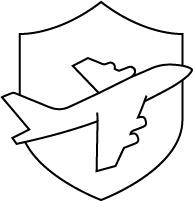 One minute later, Seahawks wide receiver Jermaine Kearse secured a 33-yard catch — knocking the ball into the air and bouncing it off of his leg before locking it in his arms, all without the ball touching the field — to position the Seahawks at first and goal. But the comeback wasn’t meant to be. “Beast Mode” running back Marshawn Lynch ended a run just short of the goal line, and then Russel Wilson was picked off in the end zone on the Seahawks second down — a turnover that ended the Super Bowl and gave yet another ring to Patriots quarterback Tom Brady, who played a crucial role in the victory. No team had ever come back by more than seven points in the final quarter of the Super Bowl before, much less against the Seahawks’ Legion of Boom defense. 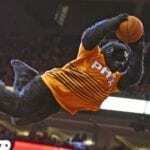 Plus, this game is the most watched broadcast in television history, bringing in an average of 114.4 million viewers. If that’s not amazing football, we don’t know what is. What do you think are the most iconic super bowl moments? Let us know in the comments below!